FreePlus Accounts is a complete accounting application for small businesses, start-ups and sole traders that is COMPLETELY FREE to use for as long as you like and as often as you wish! Whether you just want to send out a few quotations and invoices or need a full-blown accounting system why not check out the great feature set HERE to see how it can help your business. 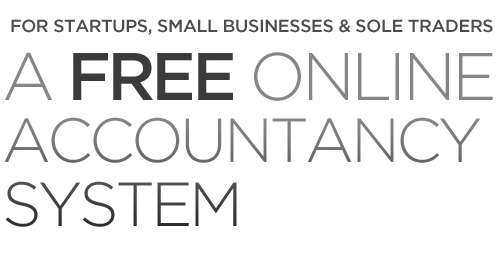 If you are just starting your new business now is by far the best time to start using an accounting system that can grow with you. So, get your business off to a great start by using FreePlus Accounts and, at the same time, check out our partners to see how they can save you money down the road. Is your Year End looming? 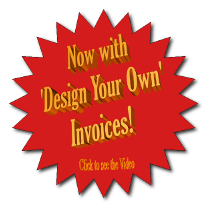 Are your accounts still being recorded on paper or spreadsheet? Are you concerned as to what it might cost to employ an expensive accountant to sort it all out? If you answered 'YES' to any of the above, then FreePlus Accounts can help you and save you money! We have teamed up with businesses that have the same, low-cost, no-frills philosophy that we have to provide all the help you will need to get your accounts organised, checked and approved for HMRC and Companies House. So, sign up for a FreePlus Account right now, it will cost you nothing. Then check out our partners to see how they can help to get you ready for your Year End returns. You'll be surprised at how little it will cost you. Great software package for the sole trader. Professional paperwork easily generated and its free. I just love the instant emailing of invoices once created. Keep up the good work - the site has helped me out a lot in terms of organising my in/outgoings, and made my (now overdue!) tax return considerably less daunting. Just a quick note to say how pleased we are with your online accounting system. It is quick and easy to use and has made a marked difference to the time that we spend on financial work in the office. I would not hesitate to recommend it to other businesses. How can we afford to make it free? FreePlus Accounts has been developed by us for our own use. As such the only additional costs we have are those associated with making it avaailable to the public and we can absorb those costs (and probably make a bit of money as well) by placing adverts on the different accounting screens. Why is it so easy to use? FreePlus Accounts is so easy to use because we've developed it to work as we would like it to work, not so as to suit our accountant! If, when using our system, we find that there is something we would like to do that we can't do then we just write a new program to enable us to do it! This approach means that FreePlus Accounts is intuitively straightforward for any reasonably competent business person. We value the security of our data as much as anyone. FreePlus Accounts runs on a secure server hosted in a highly secure, special purpose building with restricted access. All data that is displayed on your screens and that you enter is encrypted to the same level as the banks use and so no-one is going to be able to see your data. A standard policy of the server hosting solution that we use is to carry out continuous backups so that, in the event of any failure, we can always go back to the last good entry. The Institute of Certified Bookkeepers has tested and approved FreePlus Accounts for use by small businesses and sole traders. They were particularly impressed by the simplicity and ease of use of the system - read the full review here.